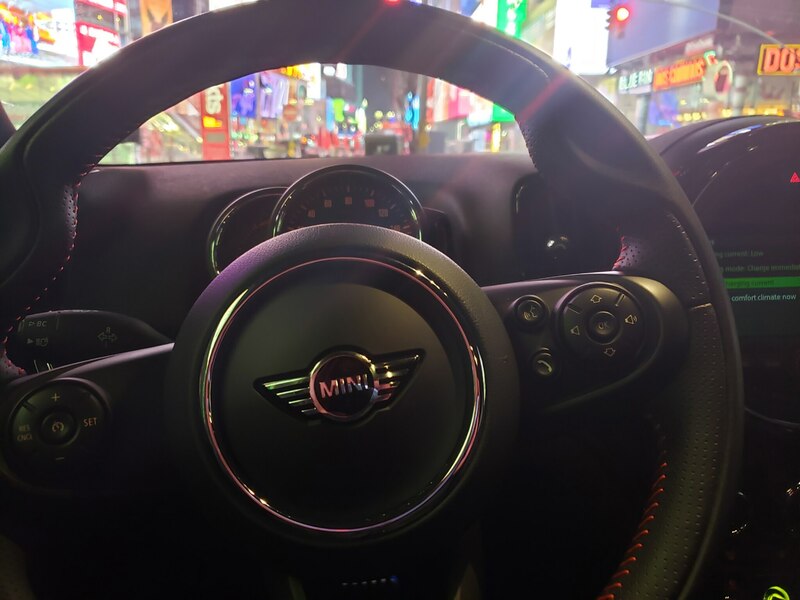 NEW YORK, New York—A Mini isn’t likely anyone’s first choice for a long road trip—especially through pothole-cratered states or with more than one other person—but the brand’s vehicles are tailor-made for urban environments like New York City. 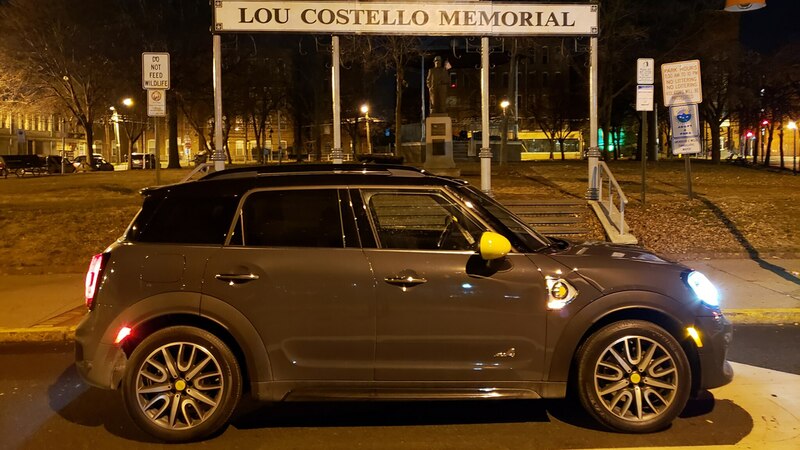 It was there and the surrounding environs that I recently put the 2019 Mini Countryman All4 plug-in hybrid through its late-night paces, running through Manhattan, Brooklyn, and New Jersey. 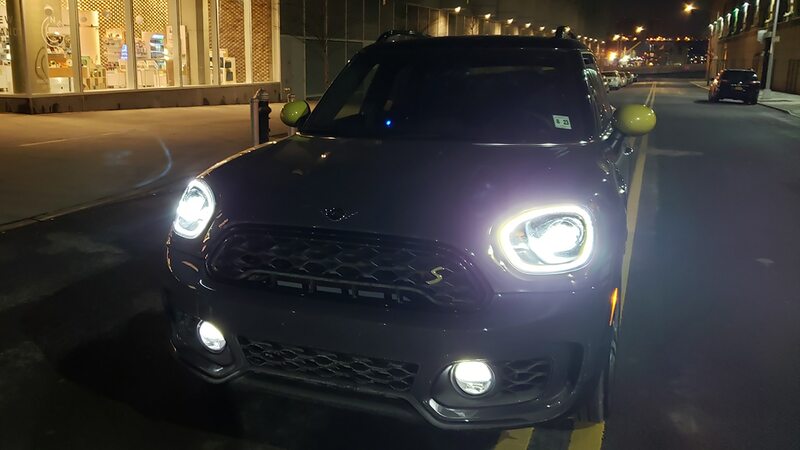 I picked up the pluggable Countryman in Newark around 1:00 a.m. on Friday night, and it quickly became apparent how Mini’s peculiar interior ergonomics and plug-in hybrids in general could confuse someone unfamiliar with them: one valet didn’t know how to start it. I explained to her that you needed to flip the toggle switch on the dash, and that since this model was a plug-in, it started silently if the batteries were topped up. 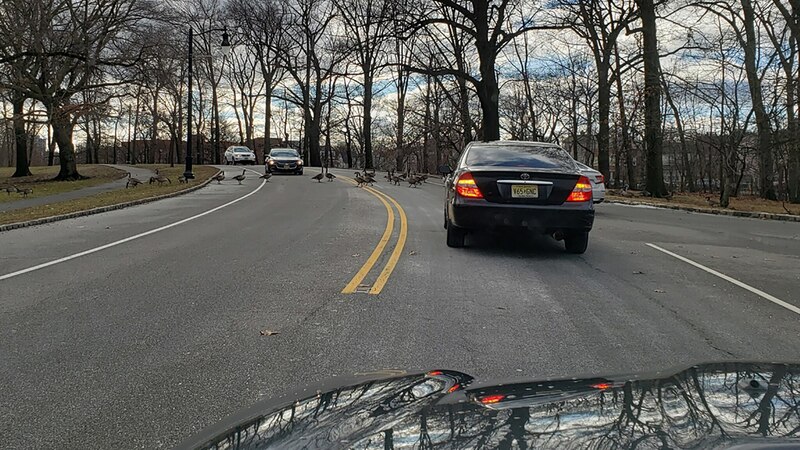 You could then just put the car into gear. 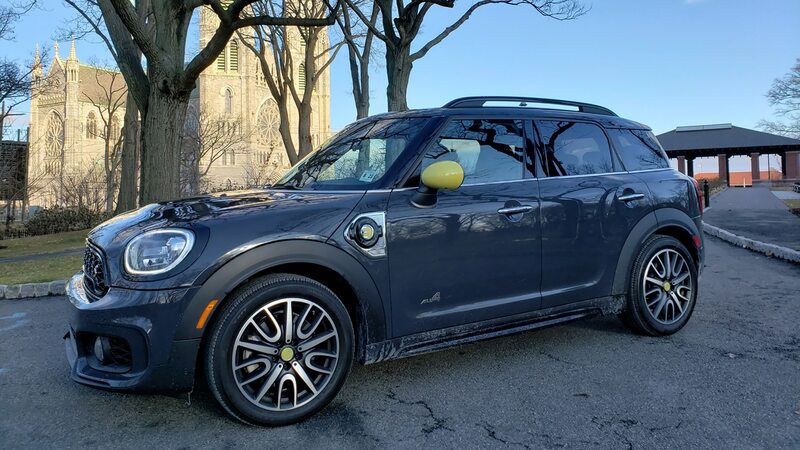 Fully charged, the Countryman PHEV has an all-electric range of about 12 miles—if you’re both lucky with traffic and featherfooted to the point of annoyance on the accelerator. I was not either of those things and saw about 10 miles, which isn’t a huge loss, but still far less than something like the Prius plug-in offers. 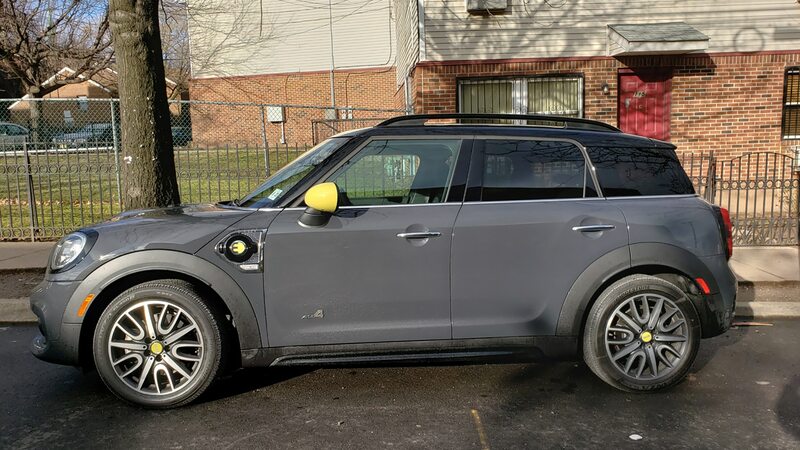 Overall, Mini claims the gas-electric hybrid can get up to 270 miles of range. I saw about 200 miles on a tank of fuel without recharging—remember, once the batteries are drained, you’re dipping into the gas tank far more often and hauling around the extra hybrid hardware besides, and I also experimented with the fuel-draining battery Save mode. 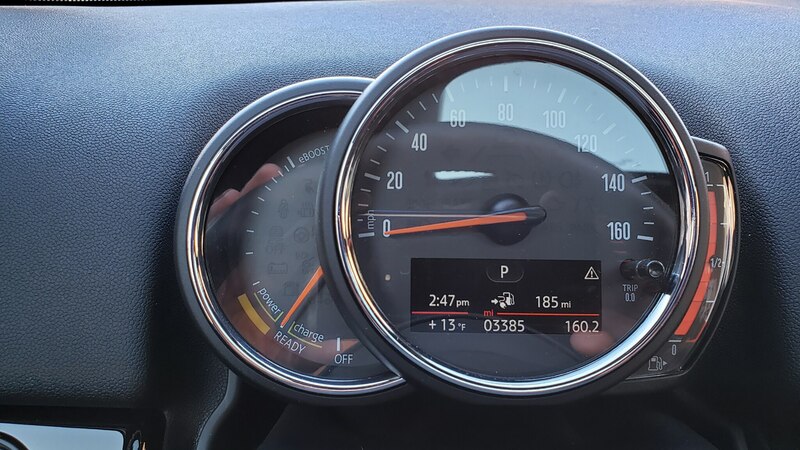 At least it feels peppy—Mini says it’s the second-quickest Countryman to 60 mph behind the John Cooper Works model. 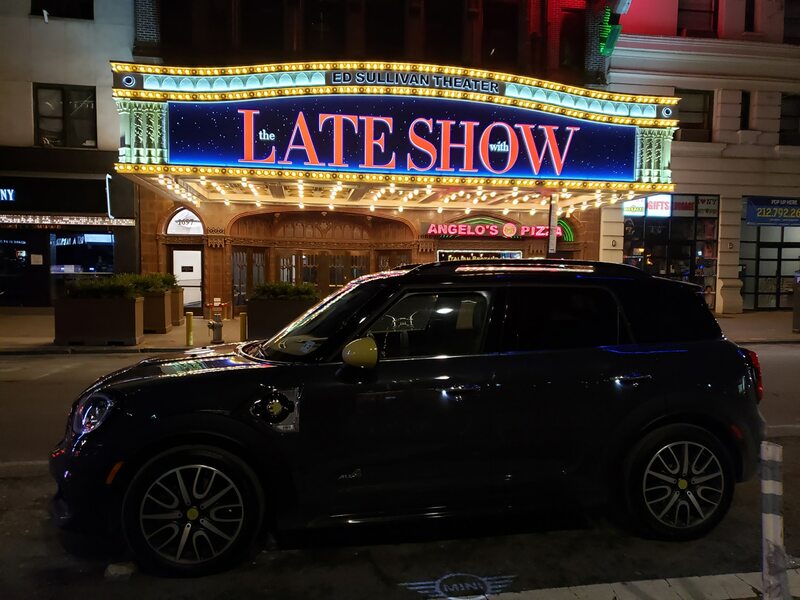 The PHEV mates a 1.5-liter turbocharged three-cylinder engine with 134 horsepower and 162 lb-ft of torque to an electric motor that offers 87 horsepower and 122 lb-ft of its own, for a combined total of 221 horses and 284 lb-ft of fun. 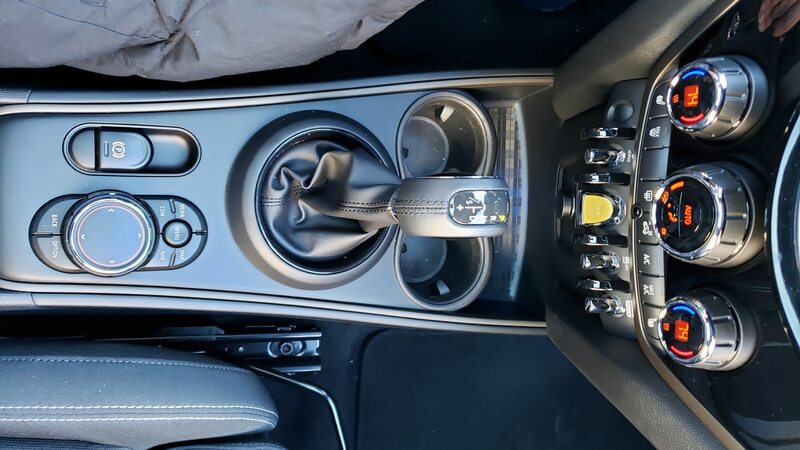 It’s mated to a six-speed automatic transmission. 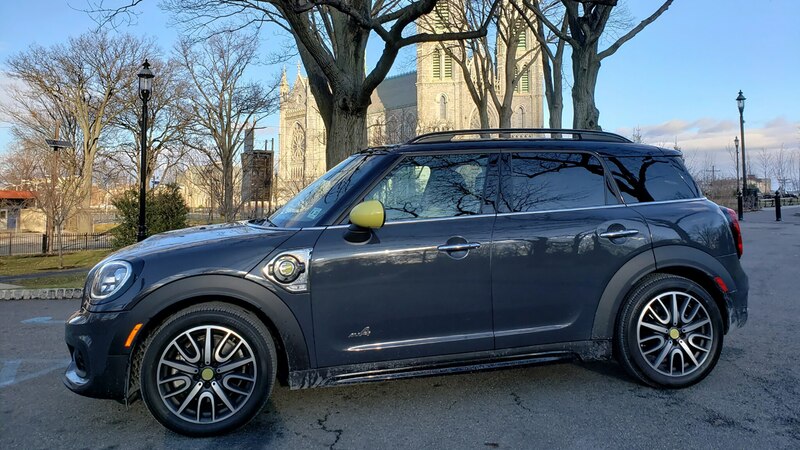 Dipping into the throttle in EV or hybrid mode results in a surge of acceleration that belies the Countryman’s smaller size and three-cylinder engine. 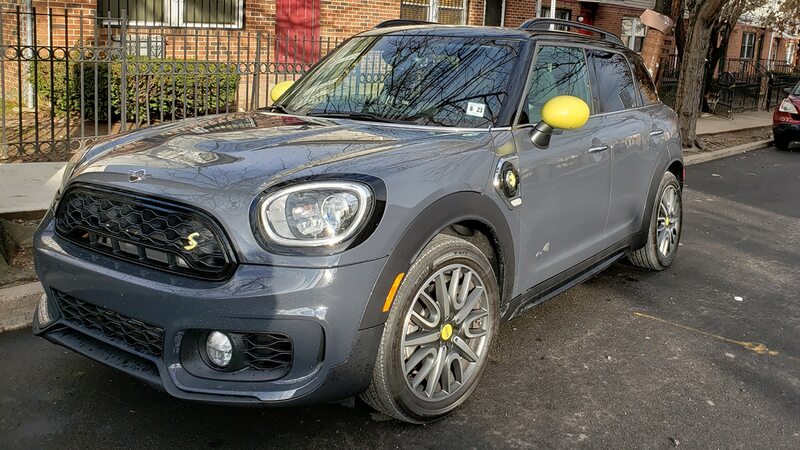 The ride quality is typical of Mini, which is to say brittle and not at all supple like that of the Countryman’s platform mate, the BMW X1. You’re going to feel every nook and cranny in the pavement. The brakes are another sore point, with wonky pedal travel and actuation not present in most other modern hybrids. 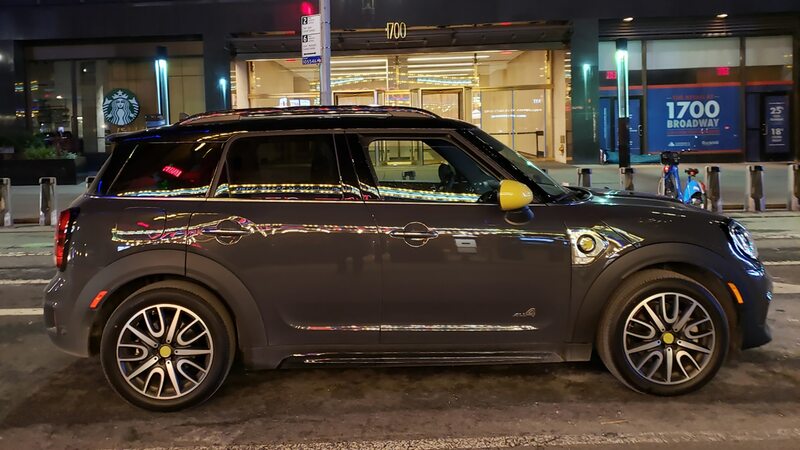 From the airport, I hightailed it through the Holland Tunnel for a late-night bite in New York, where—speaking of size—the Countryman felt a little wider than we anticipated. 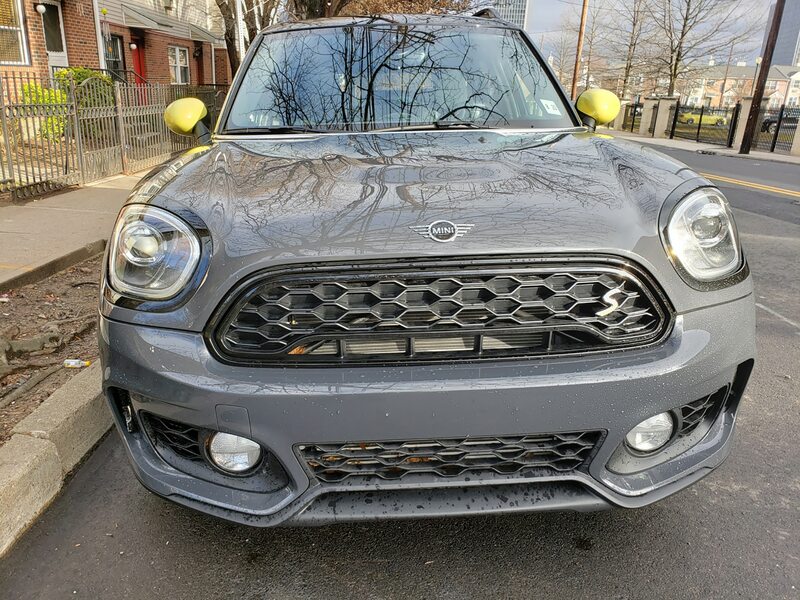 It rides on the same 105.1-inch wheelbase as the low-slung Clubman model, but it is 1.8 inches broader of beam. 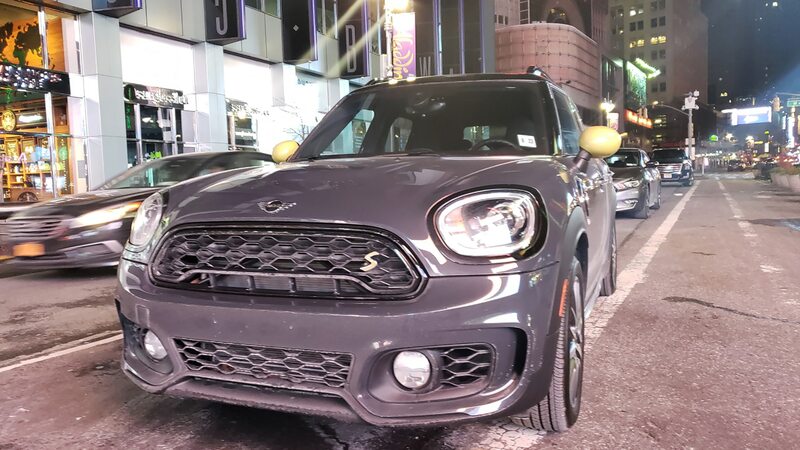 Once on the streets of NYC, though, the Countryman proved wieldy and right-sized for the task, and I easily wedged the chunky Mini into street spots. Despite its limited all-electric range, there’s the aforementioned Save mode for the batteries that uses the gas engine to charge the pack and keep it at 90 percent or higher charge. It’s intended for European city centers that ban (or soon will ban) combustion vehicles, but I used the juice to have fun squirting past NYC cabs and limos on my way to Katz’s Delicatessen for a pastrami sandwich and a knish. 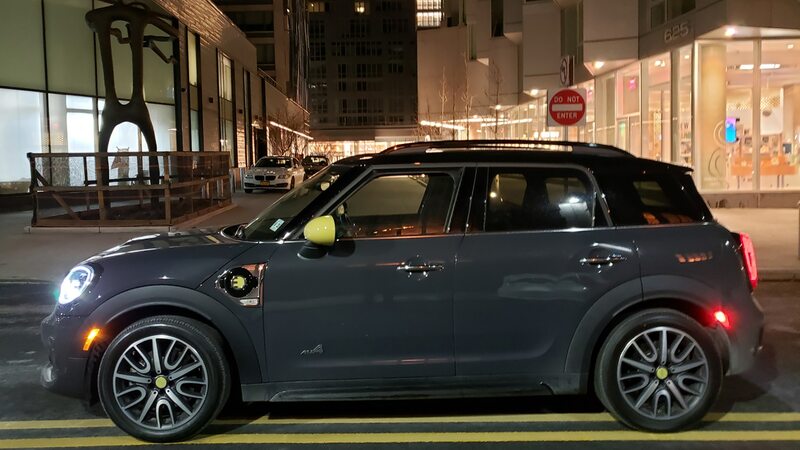 Not the Mini’s fault at all, but finding a functional charging station in the Tri-State area proved difficult. The onboard navigation system will help locate them, but even so it was a challenge late at night with temperatures in the teens. If you do find one that’s both open and functional (which I did not), the charge port is located just forward of the door on the left side. 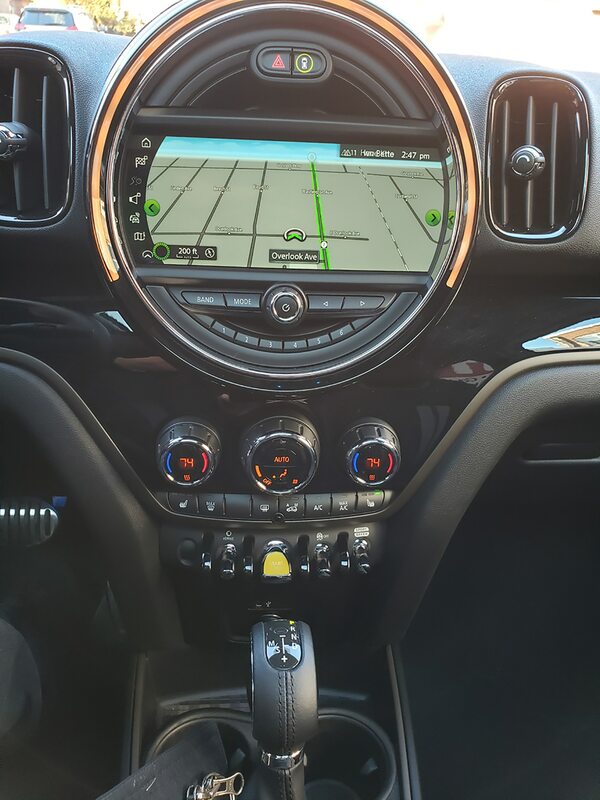 In the winter weather, the Countryman’s heated front seats were a godsend. They come as part of the PHEV Sport Edition package, which added $2,900 to the Mini’s base price of $37,750. My test vehicle also had the Touchscreen Navigation package ($1,700), John Cooper Works appearance package ($2,000), and a few other goodies like pea-soup-color mirror covers that brought the Thunder Gray Cooper up to an eye-watering grand total of $45,750, pricey for a small, non-luxury-badged vehicle. My mother, a retired Newark Police officer, said she’d rather have a BMW for that money and I had to explain to her that it really is a BMW. 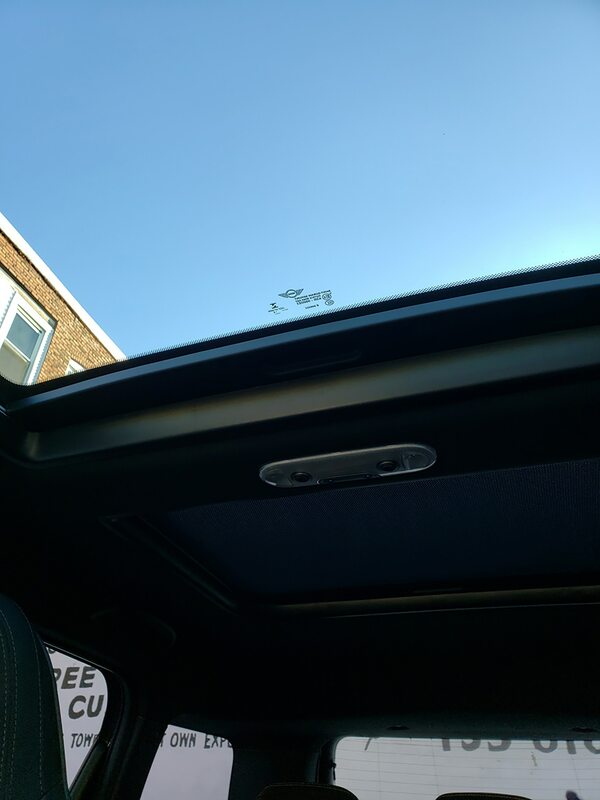 At least she really liked the ambient lighting and dual sunroofs. 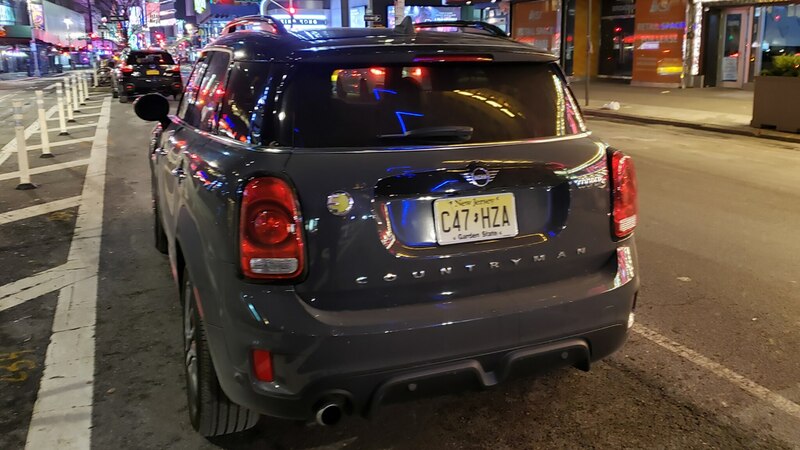 Worth noting as it regards price: The hybrid Countryman’s 27-mpg EPA estimate during gas-only operation is only 2 mpg better than the nonhybrid three-cylinder Countryman Cooper automatic and 1 mpg better than the same vehicle with all-wheel drive. 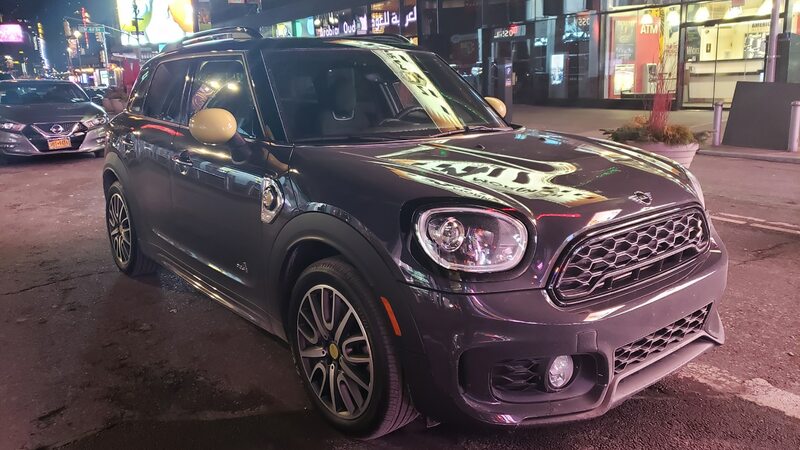 You’ll need to keep the batteries charged quite frequently to make this model make any sense at all versus a Cooper S, which starts about five grand less. For now a $4,000 federal tax credit is available to ease the pain a bit. Aside from its cute, quirky looks, the interior is roomy for its size and offers adequate room for up to five people (four adults and one kid or dog) for quick city jaunts. 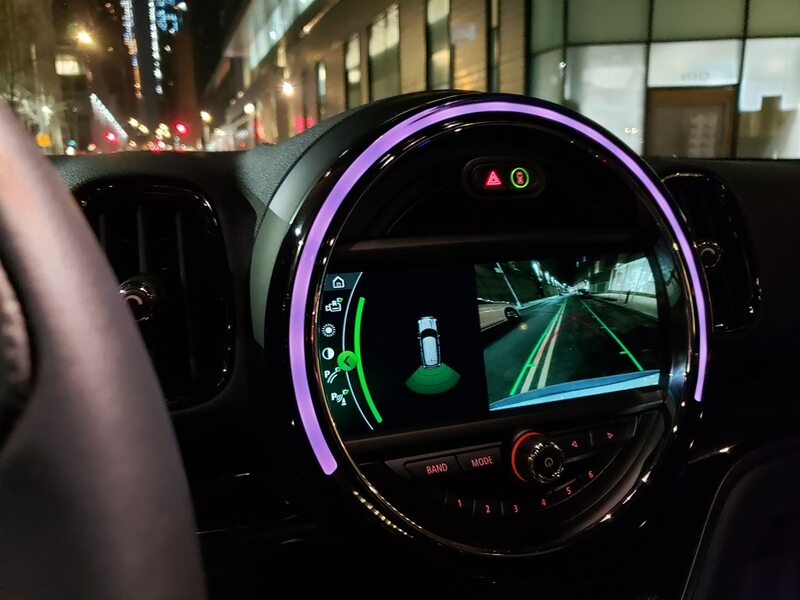 Our test car was dressed up with a leather-wrapped steering wheel with red stitching; a large, round infotainment screen; a backup camera with sensors; and more. 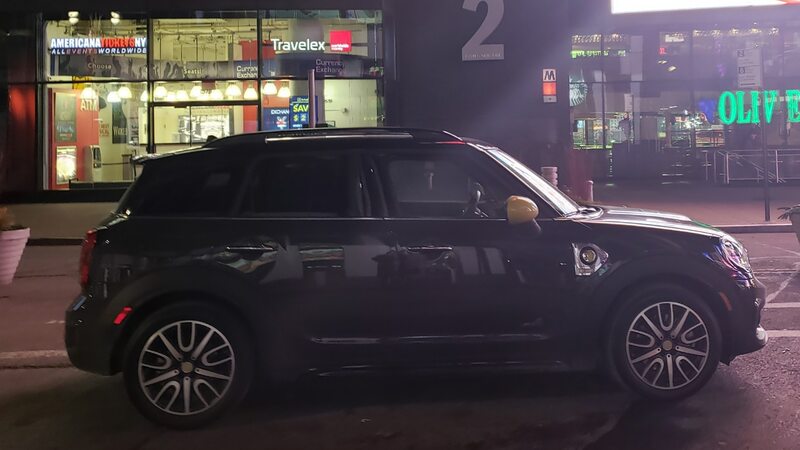 Driving in NYC late at night is the best way to beat the normally horrendous city traffic. 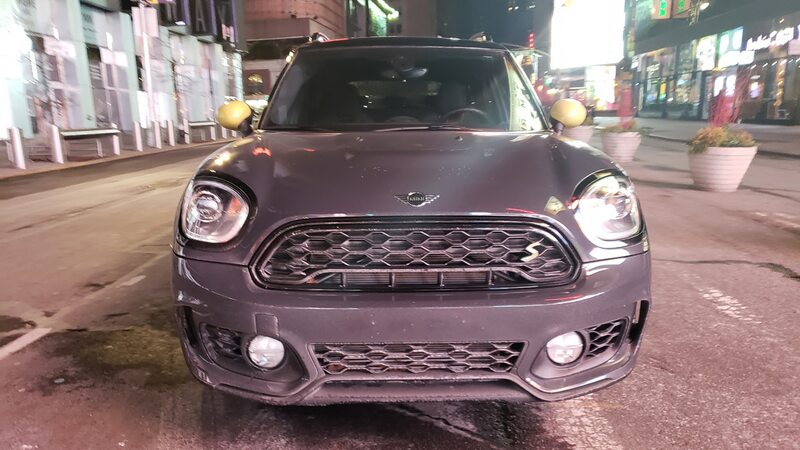 After Katz’s, I spent the rest of the night cruising over the Williamsburg Bridge to Bushwick and back to Manhattan, up Park Avenue, down Broadway, before zipping up the West Side Highway, across the George Washington Bridge, and back to Jersey for some rest. 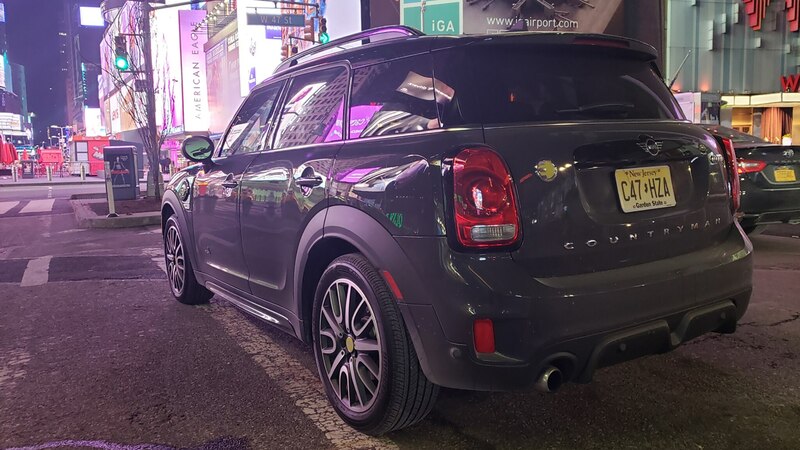 The Mini’s ALL4 all-wheel drive proved handy on icier stretches, imparting confidence and stability, and overall, I had fun wheeling the plug-in all over New York. If you have the green and want a green(-ish) machine that stands out stylistically, I’m sure your local Mini dealer would like to talk.